The sink is one of the most important elements of any bathroom. It’s often the first thing that people see when they walk in, and some would say that it affects the entire tone and decor of the space. You have several options to choose from when it comes to kitchen sinks, and we’re going to go through them and help you decide which one will be best for your home. 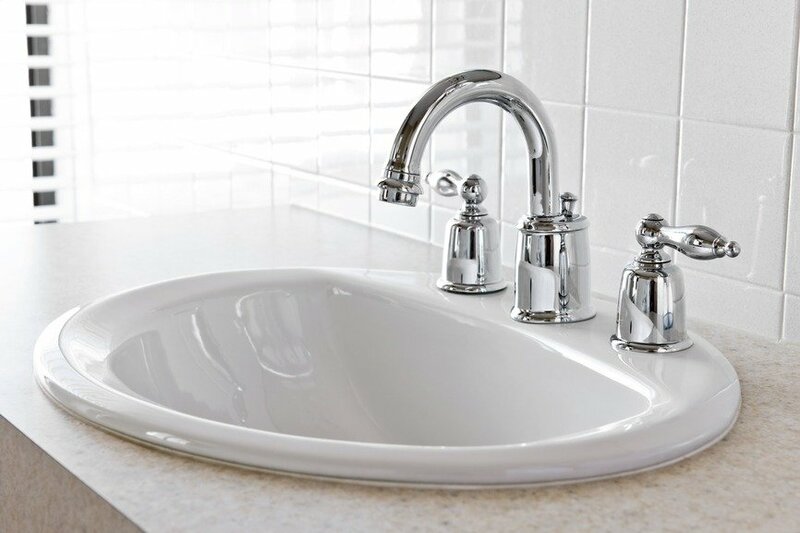 The top-mount or drop-in sink is probably the most common bathroom sink in the country. Most of the sink’s structure is located underneath the bathroom counter while the rim sits on top. A top-mount sink can be used with practically any counter, and it is relatively easy to install. An undermount sink is similar to a top-mount sink, with the only major difference is that it is installed from underneath the counter. The rim of the sink is fixed to the underside of the countertop so less of the sink is visible. This is great if you want your countertop and sink to have a clean and seamless look, but it is only possible if you have a solid-surface countertop. A wall-mounted sink is affixed directly to a wall, with no countertop or cabinet to speak of. Wall-mounted sinks are great if you have a smaller bathroom and you want to save space, but the lack of a cabinet underneath the sink translates into less storage. As its name implies, a pedestal sink sits on top of a pedestal instead of a countertop. Like a wall-mounted sink, it’s great if you want to save space, and the pedestal itself can help hide any unsightly plumbing that cannot be hidden behind a wall. Instead of a pipe, you have an elegant-looking pedestal that can look great in the right kind of bathroom. A semicressed sink sits at the edge of a countertop, allowing you to have shallower cabinets. This can be a good option if you want to have the extra storage space that an under-the-sink cabinet provides but you don’t have the space for anything too large. It can also provide some extra counter space and can make for a great design feature. These are just a few of the many sink options that you have for your bathroom. Obviously, not all of these will work for your bathroom, but we can help you choose which one will be best for your space. If you would like to learn more about the bathroom sink options that may be available to you, contact Kowalske Kitchen & Bath today.